The probate process and distribution to the heirs can be as short as 6 months. Disputes between individuals or organizations, including landlord–tenant and quiet title actions. Find out if filing Chapter 7 or Chapter 13 bankruptcy is the right decision for you. Take the first step and call us today. Family-related issues including divorce, property settlements, alimony, and parental responsibility orders. We have more than thirty years experience dealing with real estate sales and purchases – residential, rural and commercial. A quick look at family law and real estate related answers to commonly asked questions. Mr. Cruce is a native of Jacksonville, Florida. He received his Bachelors degree in business from the University of Florida in 1972. Following three years with a national underwriter he opened a title business in Clay County in 1976, focusing on residential and commercial properties. In 1996, he elected to pursue a long-time desire to continue his education and began taking required courses to enter graduate school which he entered in 1998 at the University of North Florida. This experience encouraged him to pursue a second goal – to obtain a law degree. Entering Florida Coastal School of Law in Fall 2000, he was named to Dean’s List and received an Award of Excellence from the American Bankruptcy Institute. Following admission to the Florida Bar, he served as in-house counsel to a national settlement services company which he left to enter private practice serving residents of Duval and Clay Counties in the areas of bankruptcy, probate, and clearing title to real property. Mr. Cruce is authorized to practice in Florida State Courts, United States Court, Middle District of Florida, and United States Bankruptcy Court, Middle District of Florida. April 10, 2014 | News. Ask your question in the form below and we will contact you regarding your concern. 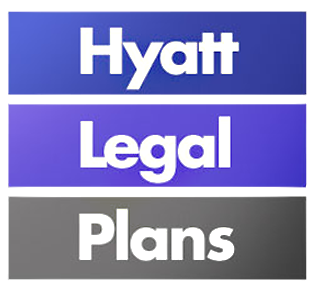 Hyatt Legal Plans, a MetLife® company, is the largest provider of group legal plans in the United States, serving six million people at 1,300 organizations, including 138 Fortune 500® companies. Hyatt Legal Plans have more than 35 years of experience providing group legal plans and are committed to providing excellent service to our plan members, sponsors and plan attorneys. An independent family enterprise we stand for quality, efficiency and economic responsibility. For more than 75 years, the people of ARAG have been passionate partners empowering people to protect their rights and assets by making quality legal services affordable to all. It is critical that you provide a complete list of ALL ASSETS and ALL DEBTS. Fill out this form as completely as possible. Use a separate sheet to list creditors and the amounts owed. If you do not know the exact amount, please list your best estimate. This page must be read and signed before your case will be filed. If this set of worksheets is not filled out completely, we cannot properly prepare and file your petition. If you have any questions, please call the office. If the questions cannot be answered over the phone, we will schedule a follow-up consultation. Brief questions may be able to be handled via email. This form is a supplement to the worksheets you have been provided. This form is intended as a quick reference to facilitate the completion of the worksheets and allow us to file your case in a timely manner.